There are some things right in front of you that, until you look for them, are completely invisible. 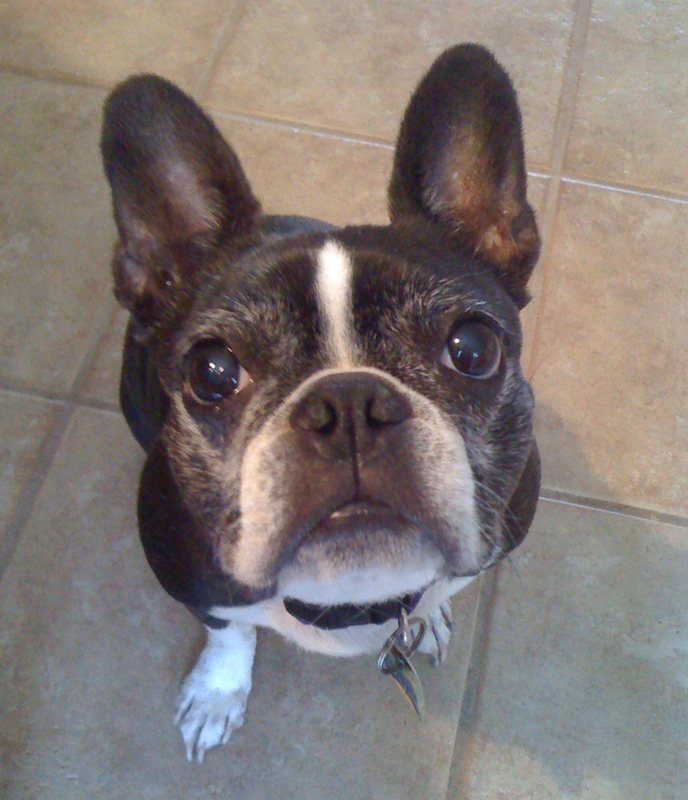 For several months, we’ve noticed independent behavior changes in our 11 year old dog, Sadie. She had become increasingly disobedient, especially not coming when she was called. She had become a whiner. Whenever she wanted something, she would whine, but whenever we went through the list of options (“Are you hungry?” “Do you need to go outside?” “Do you want to play?”), she would just sit there and keep whining. Either her reaction time was slowing or she wasn’t paying attention. She was constantly getting underfoot and tripped over. She finally got smart and realized that she didn’t need to run and bark when the garage door opened any more, since it was always my husband. She got lazy and stopped following me around the house during the day, and just kept on napping when I left the room. Then, more than a week ago, she started to shake her head and scratch at her ear. The vet confirmed she had an ear infection. Over the course of treatment, I started looking for signs of hearing loss. She didn’t come when called – she couldn’t hear me call her. She whined – she couldn’t hear me respond. She was constantly underfoot – she couldn’t hear our footsteps. She didn’t bark at the garage door – she couldn’t hear it. She kept napping when I left the room – she didn’t wake up when got up from my chair. All the signs pointed to a single cause of her changes in behavior, but instead I had a different interpretation for each. The symptoms were there, but I could not see they were connected. I was somehow satisfied with the easy logic that in her old age, my sweet dog had become an ornery, lazy whiner. Now that I know the truth, it’s much easier to communicate with her. I can get closer and speak louder. I can rely more on hand signals and make sure I am in her line of sight. Now that I understand, I don’t get frustrated with her. We are all quick to assign an explanation to the behavior we see in others. Take a step back to check your own assumptions of the behaviors you see in your organization. When you see independent puzzling behaviors, consider they may be connected, and there may be a common cause. Once you understand the true reasons for others’ behaviors, you can effectively address them.